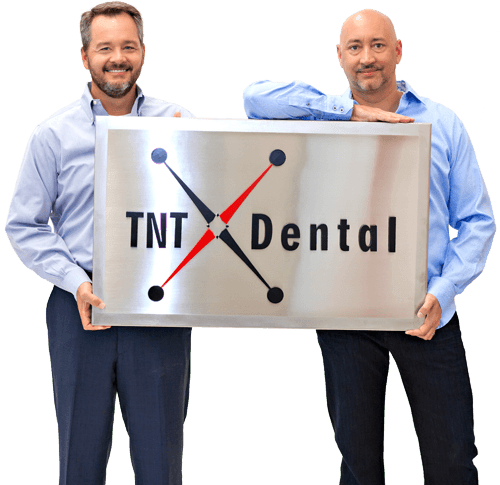 Unlike other companies, the founders of TNT Dental are still actively involved in our day-to-day operations. In fact, it is often tough to get them to go home. Together, they possess more than 30 years of expertise in helping dental practices grow via the Internet, and their knowledge is included in everything we do. They realize the success of TNT is 100% dependent on the success of your practice, and they will do whatever it takes to exceed your expectations. Unmatched customer service is one of our core principles, and it starts at the top. And, connecting with them is easy. Feel free to use the form below to send them a quick email, or call any (or all) of the phone numbers listed. Morning, noon or night -- weekends and holidays -- they welcome the opportunity to get to know you and to explore ways they can help your practice grow.